One of the best things about publishing a book is getting to meet and hang out with other authors and chat about my favourite topic: writing. 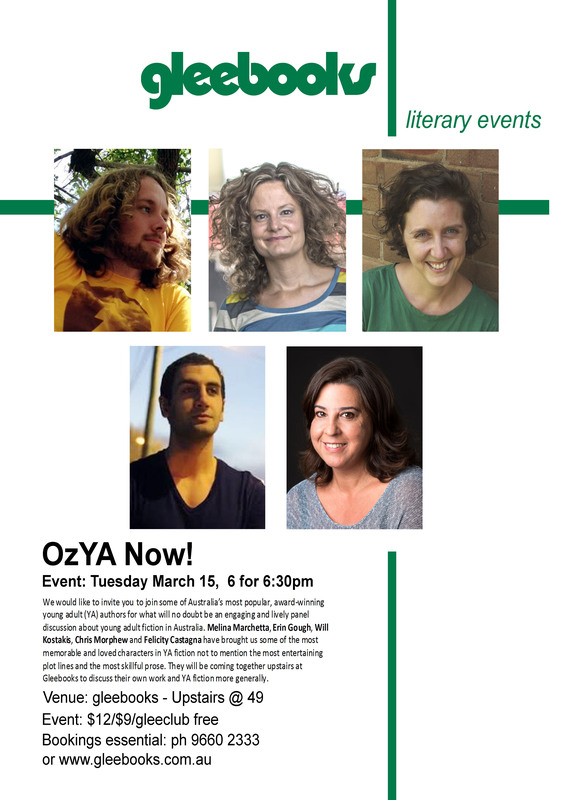 I will have this pleasure on 15 March at Gleebooks in Glebe, Sydney, where I’ll be talking with Melina Marchetta, Will Kostakis, Chris Morphew and Felicity Castagna, all of them talented novelists who have written for a young adult audience. We’ll be discussing the state of young adult literature in Australia, the politics of it, as well as writing in general. I’d love to see you there.